Sick of the cold wind making your cheeks all rosy as you battle the elements to get to work? You’re giving rosy cheeks a bad rep. Yes, they spell the approach of winter, but they also spell ruddy-cheeked winemakers and a crimson glow caused by an afternoon tasting your way through a hangar full of their delicious produce. Yay! It’s wine fair time again! 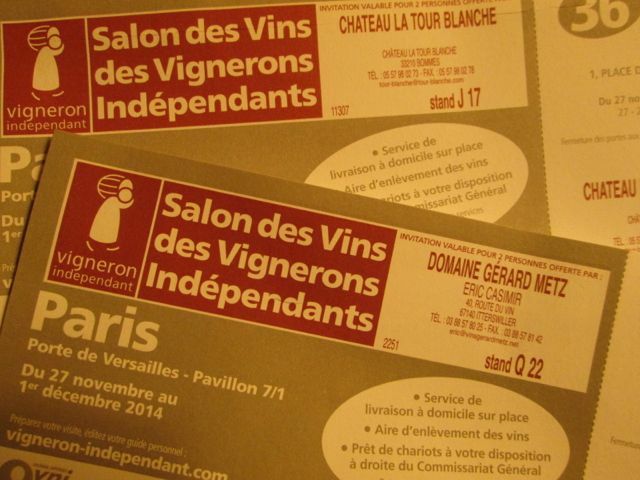 If you’ve been a die-hard reader since the beginning, or your wine detection skills are so honed you hardly need my help, you’ll know that Paris plays host to two wine fairs a year where independent vintners gather together, fill an exhibition centre with wine, and invite thirsty laymen like us to taste it. And buy it, of course. This Thursday (27th) marks the start of the second, this time being held at Porte de Versailles (bottom end of line 12), taking place for five days until Monday evening. For those who live here, you’d be a fool not to go. For those who don’t, you’d be a bigger one not to arrange your next Parisian stay around it (and make room in your suitcase). So, as usual, it’ll cost you 6 euros to get in (or free if you’ve bought a bottle or two before and you’ve received your invitation), and you get a glass upon arrival to fill up and drain to your heart’s content. The whole gang is there to sample from classy whites through to rosés and reds, sticky sweet dessert wines and kick-you-in-the-throat Cognacs and Armagnacs. Plus chocolate and foie gras sandwiches to keep your strength up. It sounds like heaven, no? Well, aside from rapidly fading willpower the more glasses you drink leading you to make wildly ostentatious purchases designed to cripple your bank balance, tasting all of this good stuff might lead you into a wine habit that your wallet just can’t support. Instead of risking bankruptcy, treat it as an education into France’s lesser-known wines, and develop a knowledge of the simpler and cheaper delights that’ll save you hundreds in the process. Don’t know where to start? Here’s a brief rundown on how to save cash whilst drinking grape juice like a king. IF your cellar’s looking empty, buying direct from the producer is the most economical way to get it looking healthy again. If you’ve got the means, buying in bulk will reduce the price even more (either take a trolley for your booty, or you can pick one up at the event). 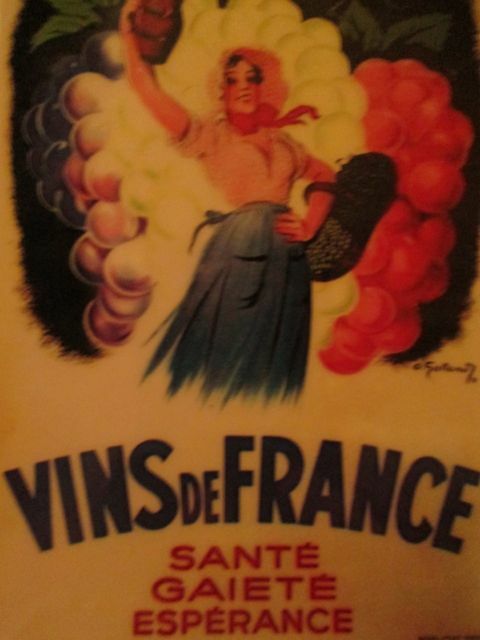 Supermarkets also keep the wine cheap with their power to buy enormous quantities, and always have a huge selection. Or if you’re lucky enough to have a wine tour booked, buy straight from the winemaker’s hands. GIVE the big dogs a miss. Bordeaux, Burgundy and Champagne may be the connoisseurs’ choice, but you’ll pay for the reputation of the famous names. Try lesser known and more unfashionable areas for some hidden gems. Languedoc Roussillon is one of the largest regions in France, and the former home of Vin de Table now produces an exciting array of different varieties and innovative styles. Personally I’m an avid fan of Cahors malbec based wine (what Argentinian wine dreams are made of, but not so well known here), and lighter reds Morgon and Brouilly. The fun is in the trying. And you can impress your French dinner hosts with a cracking bottle they’ve probably never heard of. BE label savvy. 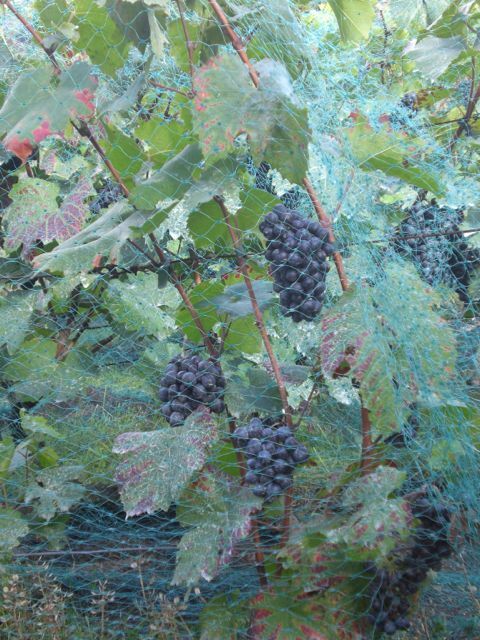 AOC (Appellation d’Origine Contrôlée) is the highest classification of wine, but strict laws mean that the second category Vin de Pays might be of a similar quality, though the wine will be labelled differently (often using the grape variety) and made using different techniques. The lowest category, Vin de Table is the cheapest, though you might end up with some barely palatable plonk. KEEP an eye on the price. In general, the price tag dictates the quality, though if you find a cheap bottle of Margaux, it might just be the reflection of a bad year, and not worth the effort. But make sure your taste leads the way – if you spend 25 euros on a heavy oaky red when you prefer drinking a lighter Beaujolais, then you’ve spent badly my friend. LOOK towards the edge. Often all that separates different appellations is a road, a river or a few metres of land. By looking at wines from areas that border the more prestigious AOCs, there’s treasure to be found for a fraction of the price compared to their posh siblings. Saint Émilion for example is much revered, but its satellite appellations Lussac, Montagne, Puisseguin and Saint-Georges offer some spectacular alternatives. The same goes for Pomerol’s poorer relative Lalande-de-Pomerol, and if you’re into Sauternes, give Barsac a go instead. Research rewards the curious. Get those corks a-popping! (And don’t forget to invite me). Here’s all the info you need.